One random Thursday afternoon in early October, I stumbled down a beach and into the Atlantic Ocean. That wouldn’t have been very exciting, had I not walked 865km across northern Spain to get there. 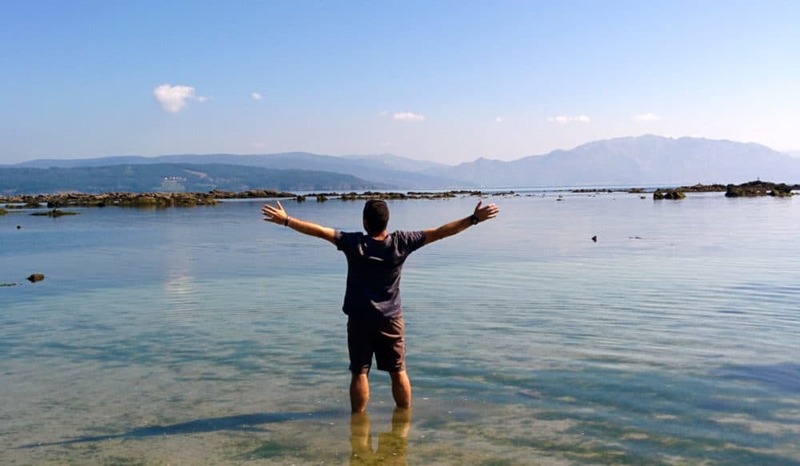 That beach, in the small town of Finisterre, was where the road and my Camino ended. It’s taken this long to process the experience, and put fingers to keyboard to explain what it meant to me. 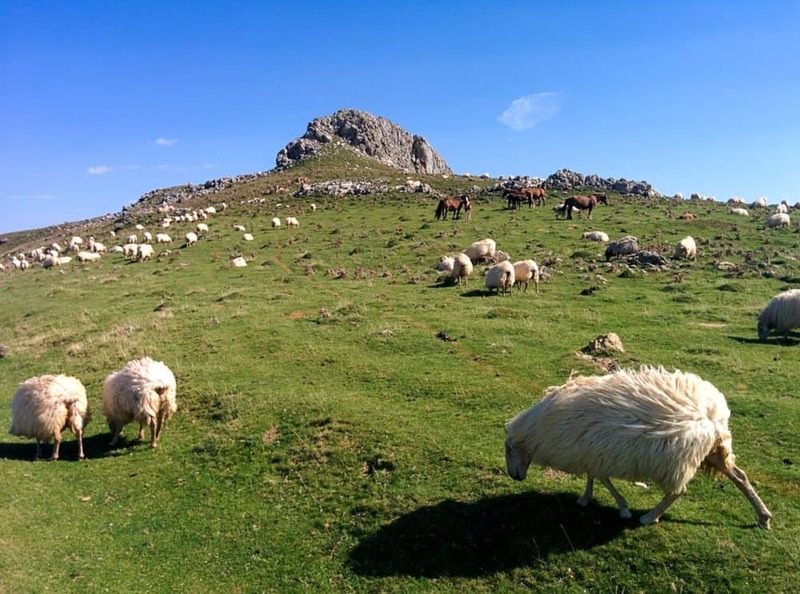 Unlike many who walk the Camino de Santiago, I wasn’t looking for an epiphany. 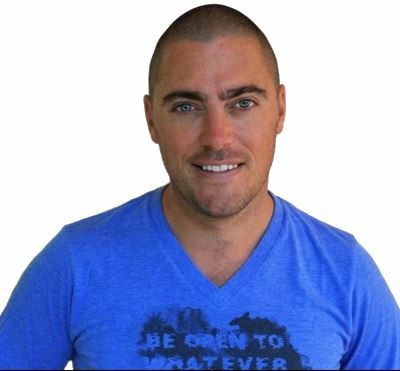 I wasn’t recovering from a messy divorce, had a health scare or sudden death in the family. I wasn’t suffering from a crisis of faith, or a midlife one, and I hadn’t just been laid off from my job. Instead, my thought process was much simpler than that. I’m turning 40. I want a challenge. I’m in Spain. How far can I walk? There’s a saying among pilgrims, though. The Camino provides. It gives you what you need, whether you know it or not. Sometimes that need is physical — food when you’re hungry, drink when you’re thirsty, a bed when you’re tired — but sometimes it’s more than that. It also gives you time, and space. Spending six, eight, ten hours a day moving slowly across an enormous landscape, week after week, gets the brain working in unfamiliar ways. The Camino provided me the opportunity to think, to reflect, to meditate, free of distractions and complications beyond my immediate needs. I didn’t have many expectations from my walk, and wanted to just let the experience turn out as it would. I began the walk expecting it to be grueling. 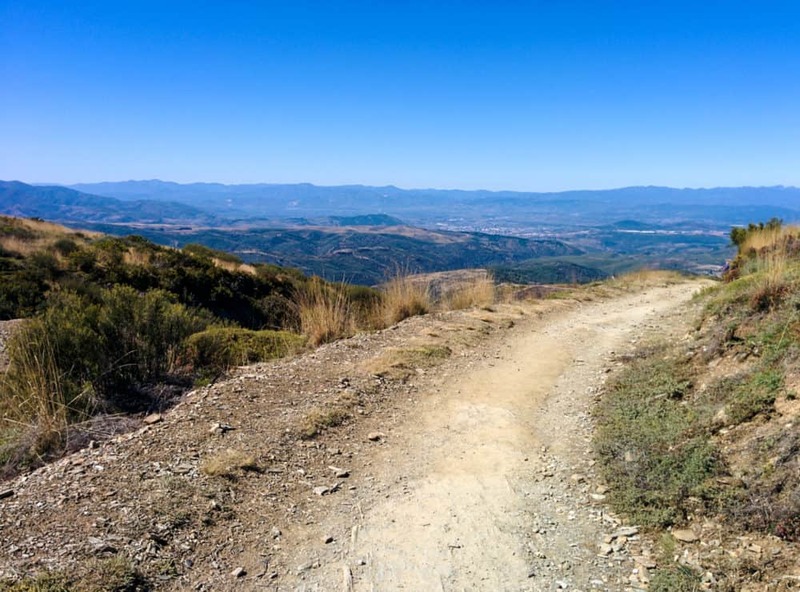 The weather on the Camino de Santiago in August is often extremely hot, and even at the end of that month, my first day out of Saint-Jean-Pied-de-Port was forecast to hit 36 degrees Celsius (97F) as I crossed the Pyrenees. That’s a 28 km walk, up 1200m and down 450m, in the beating sun. I hadn’t trained enough, wasn’t in great shape, and last time I’d walked a similar distance, ended up with blisters on both feet that ruined the next several days. In the end, though, I was fine. The climb out of town was tough, but starting at 6 am kept the temperatures down for a while. I didn’t walk too fast, drank lots of water, stopped for food anywhere I saw it, and checked my feet often. I was sore and exhausted when I stumbled through the door of the albergue (pilgrim hostel) in Roncesvalles early afternoon, but a shower, nap, and ibuprofen did wonders. And then I got up the next morning, put on my shoes, and did it all again. And the morning after that. And the morning after that. I tried to keep distances relatively short for the first week or so, giving my feet a chance to adapt to the mild torture I was putting them through. Somehow, without me really noticing, they did. Other things were easier, too. Even though I’d delayed my start until the very end of August to avoid peak walking season on the Camino Frances, I had some concerns about being able to find a bed every night. As it turned out, there was exactly one night I couldn’t get a bed in the first albergue I walked into… so I went to the one five minutes down the road instead. It might have been different if I’d started a month earlier. That’s why I didn’t start a month earlier. Eating was easy, too, much more so than on the week-long section of the Camino Mozárabe I’d walked earlier in the year. With so many pilgrims wanting to be in bed by the time most Spanish people start thinking about food, bars and restaurants served dinner much earlier. Quality was sometimes very good, usually ok, and occasionally awful, but always provided enough calories to keep going. As is so often the case, the problems I worried about ahead of time turned out to not be problems at all. If the walking and logistics were easier than expected, other things definitely weren’t. I’ve stayed in my share of dorms over the years, so I didn’t expect the communal nature of albergue living to be a problem. Much of it wasn’t — the bathrooms were cleaner than those in most hostels, and with everyone generally asleep before 10pm, it was rare to be kept awake by talkers or latecomers. The one thing that did keep me awake, however? Snorers. Dear god, the snorers. I’m a light sleeper, so I knew earplugs would be necessary. Apparently I should have taken industrial-grade earmuffs instead. Some of my fellow pilgrims seemed to treat snoring like an Olympic sport, and they were going for gold. After a while, I could guess the chance of a decent sleep long before lights out. There was a particular type of overweight, middle-aged man who was guaranteed to be lifting the roof that night. You’d think by the time you get to that age, you’d have some idea you’re a snorer, and have learned enough compassion for your fellow humans to book a single room. Apparently not. The only people in the room who’d got a decent night’s sleep, they’d also be the ones bouncing out of bed at 5 am, shining their torch around, nosily stuffing things into their backpack, and dropping at least five items on the floor before eventually departing. Walking 25+ km on two hours of broken sleep was not my idea of a good time, especially when it happened a few nights in a row, and those were the days I came closest to quitting — or at least booking a hotel and passing out for a week. 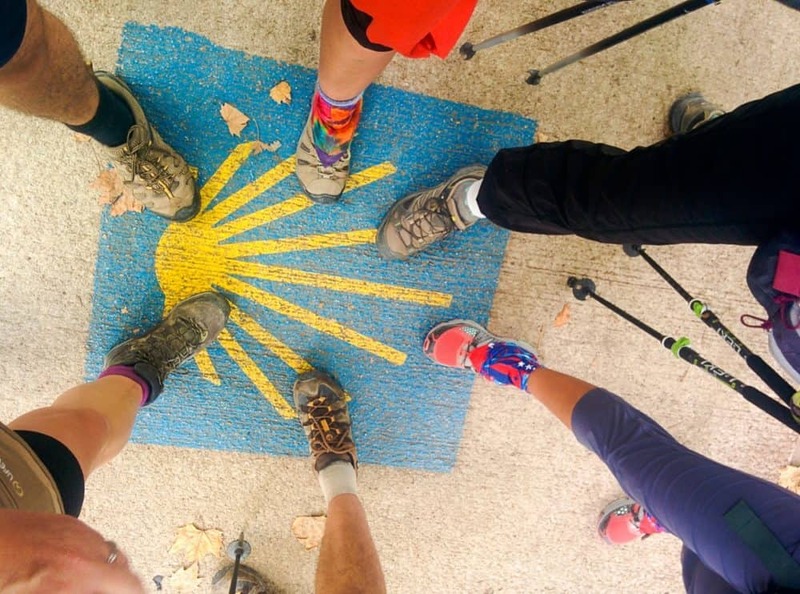 People talk about their “Camino family”, a group of people they meet in the first week or two, and end up walking with the rest of the way. Bonded by the shared experience, these connections typically last much longer than the blisters and tears that mark the end of the road. For me, the experience was a bit different. I ended up with several small families instead of one larger one. I met Steven and Christine on my second day, and walked with them for a week until they finished in Burgos. Cath, Ludo and Mallory became my new family for the next ten days until we split up in Leon, all headed on different routes. I walked the rest of the way to Santiago with Jessie and Wayne, and finished the last few days with a friend I’ve known for 30 years. Between them lay a motley collection of characters, young and old, from all over the world, who slipped in and out of my story, each adding their own little tweak to the tale. 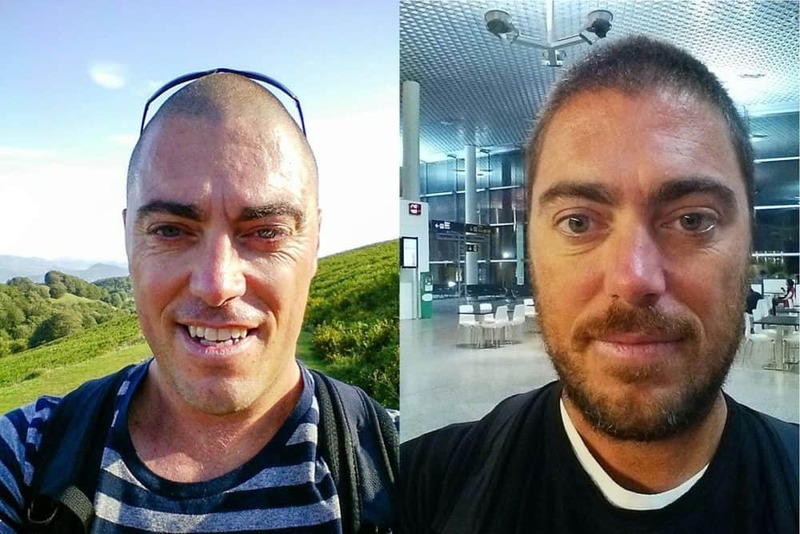 Saying goodbye, on the Camino as with travel in general, was painful and inevitable. I’m not sure whether having multiple families made it better or worse, but it sucked regardless. I wanted to keep them all in my life. 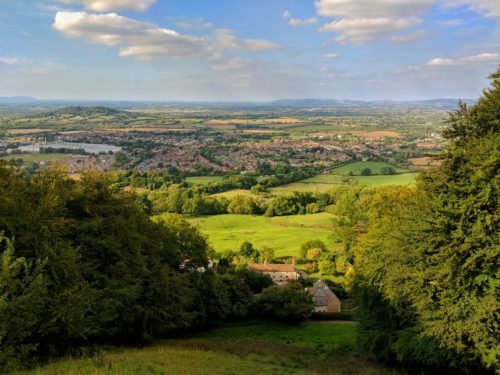 Even though I’d read plenty of descriptions of the route before starting, I had a romantic notion it’d be all stunning views, isolated trails, tranquil countryside and gorgeous little towns. All of those things existed, for sure. The first few days in the Basque country were fantastic, as were the last three from Santiago to Finisterre, and there were many other beautiful patches along the way. I loved walking through dark forests at dawn, silent except for my footsteps, or sitting on a stone bridge beside a burbling stream in the middle of nowhere. The melodic ringing of cowbells as I crossed the Pyrenees, gentle chirping of birds through Galicia, and whistling wind along the meseta form some of my favourite Camino memories. On the flip side, there was plenty of ugliness. 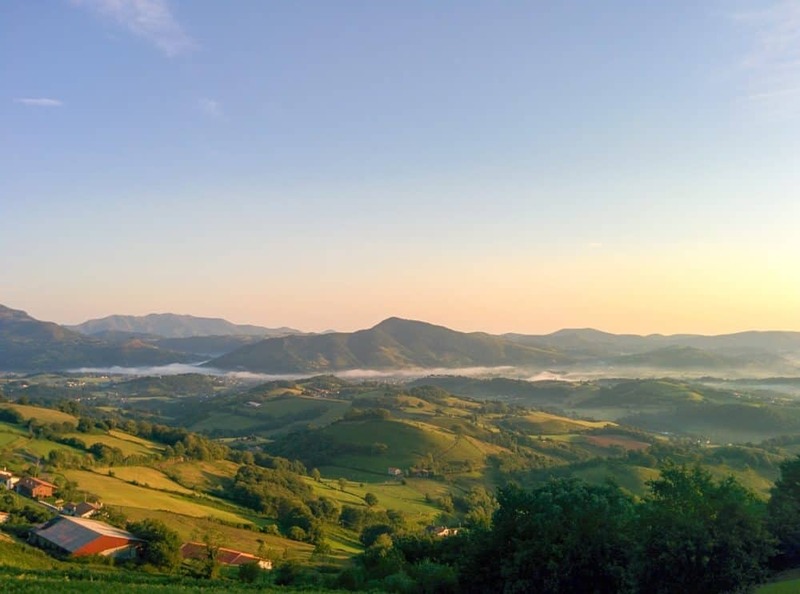 Outskirts of cities are rarely attractive, and that’s no different in northern Spain. 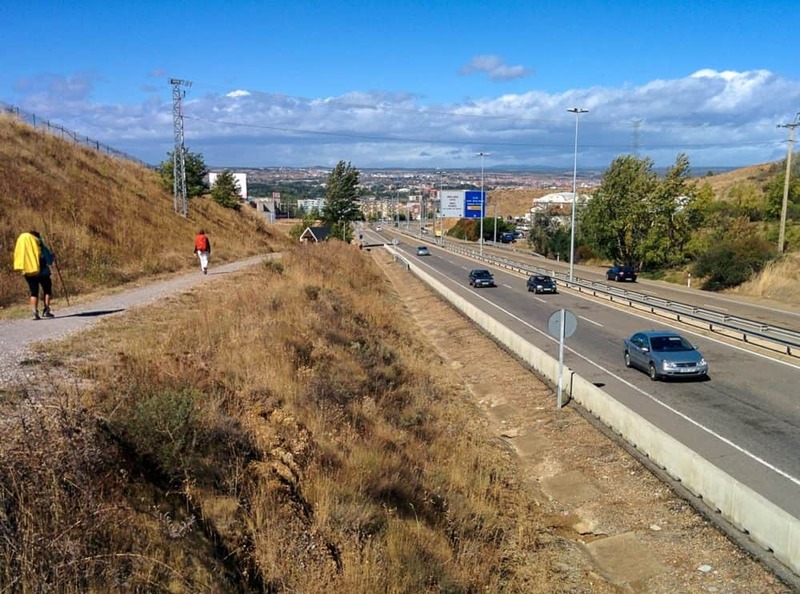 Entering Logroño, Burgos, León, and even Santiago was a slog. There’s nothing fun about walking past smoky factories and airports, chain-link fences, and grey concrete buildings for hours, whether you’re on the Camino or not. The bigger issue was the main roads. While it was rare to walk beside any true highways, there was a lot more time on asphalt than I’d hoped for. It was hard on the feet, and on the busier roads, hard on the ears and lungs as well. Large trucks belched diesel as they ground up steep hills, while cars and motorbikes flew by at speeds that made crossing the road dangerous. Even when the weather was good, these were my least-favourite days. When it rained, it was downright miserable. You can’t have it all, of course. The route runs from town to town, as do the roads. With towns comes decent accommodation, hot showers, and good food and coffee. 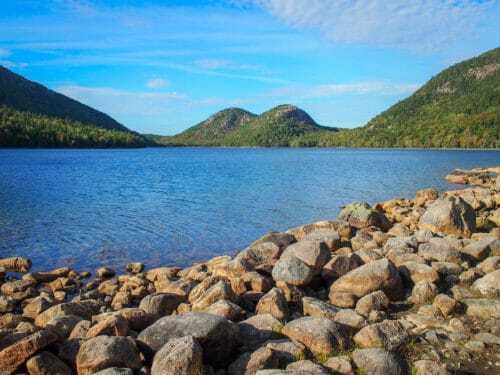 If I wanted unspoiled countryside and no evidence of other humans, I’d have walked a different route, and carried a tent, cooking equipment, and everything else I needed for survival. I came to understand and appreciate the trade-offs, but that didn’t make my feet hurt any less. Humans were meant to walk, and we’ve been doing it for tens of thousands of years. As someone whose life is largely spent hunched in front of a laptop, walking around 25km (15 miles) a day for five weeks was amazing. Sure, it was tough for the first few days, or when it was particularly hot or wet, but it got easier week by week regardless. Distances became a challenge rather than a problem (“36km? Sure, I can do that…”), and I found myself picking up the pace the closer I got to the end. I’d expected to take rest days once a week, but in the end, didn’t need them. I didn’t want them, either, as it wasn’t worth losing touch with my walking buddies just to sit around for a day. I was hooked. Stretching the stiffness out of my muscles at 6 am was never fun, but after that, I felt like I could walk forever. I lost maybe 5 kg along the way, but it was muscle strength and mental attitude, not weight, that changed the most. By the end, the thing that had seemed the most daunting — walking long distances for weeks on end — had become straightforward, almost easy. I didn’t want to finish, and if I hadn’t run out of land, I wouldn’t have. After a week, I wondered if I’d be able to keep going. After a month, I couldn’t bear to stop. What did I love most about the Camino? The simplicity. In a world of constant interruptions and multi-tasking, projects and problems, having very few options for several weeks was deeply rewarding. Everything I needed, I carried on my back, and there was nothing more to do than wake up, walk, eat, wash, and sleep. Follow the arrows west, day after day, for a month. The people, views, and details changed, but the basics stayed exactly the same. It gave me a rare chance to switch off my brain, to stop thinking about the small things and let my mind wander wherever it wanted to go. That, plus hours of walking, led to some deep, enlightening, remarkable conversations with people. I live for those moments, but typically only have them a few times a year. On the Camino, it happened almost every day. Equally valuable, though, was the silence. I wanted time to think and reflect, and I got it. Some days I walked by myself for hours, chatting briefly to the people I passed, but choosing not to linger in their company. Even when I was walking with others, at times we’d naturally drift apart for a while, an unspoken need for time alone taking over until we regrouped outside a cafe further along the trail. Graffiti dotted the path towards the end, often with recurring themes. “Real pilgrims walk in silence” was a common refrain. I couldn’t help but agree. After hours slogging in the rain, it’s a tiny parcel of warmth to hold between your hands in a steamy cafe. It’s an excuse to stop in a picturesque village, pull up a table outside the nearest bar, and rest your tired feet for a few minutes. And it’s uniformly excellent. I must have drunk a hundred of them on the Camino, and I genuinely didn’t have a bad one. No matter how small the town, tired the establishment, or stoic the person behind the counter, my drink was always strong, smooth, and delicious. I shiver now just thinking about it… although that could well be caffeine withdrawal. 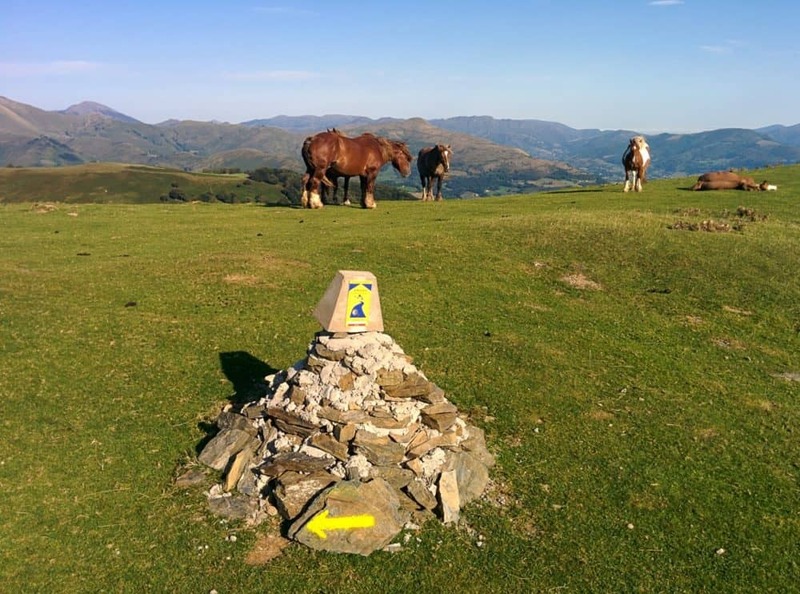 I didn’t start the Camino looking for an epiphany, but the experience moved me regardless. Just ask Lauren how often I talk about it, how it somehow finds its way into conversations with friends and strangers alike. She’s surely sick of hearing the stories, and yet still, they keep coming. It’s hard to pin down the reason why I keep going on about it. Part of it is undoubtedly ego. Walking 800km is a big deal, at least to me, and I’m proud to have done it. Part of it, too, is establishing common ground, especially when I meet others who like long-distance walking. 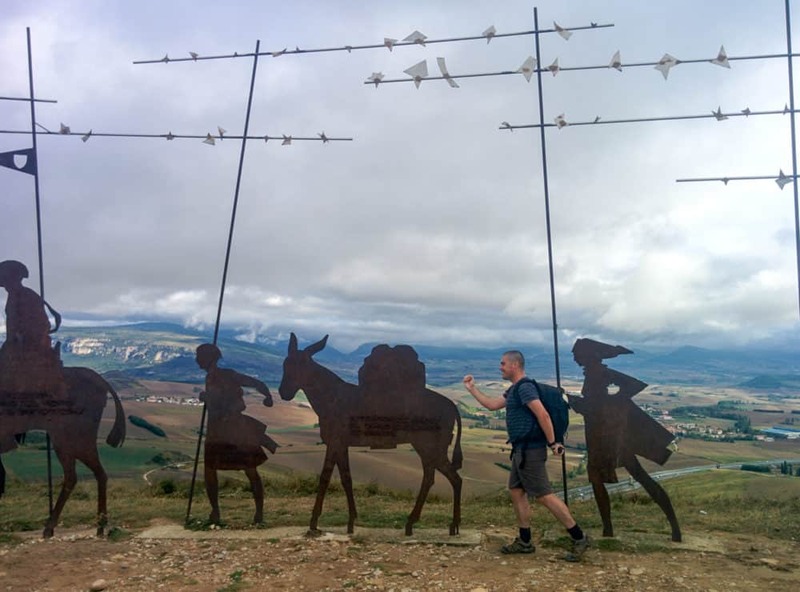 The Camino de Santiago seems to be on a lot of people’s bucket lists, so it’s an easy thing to strike up a conversation about. I think the biggest part, though, is wanting others to have the same experience. 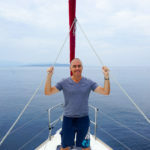 It was so enjoyable, challenging, rewarding and remarkable for me that I’d hate for others to not have the opportunity. 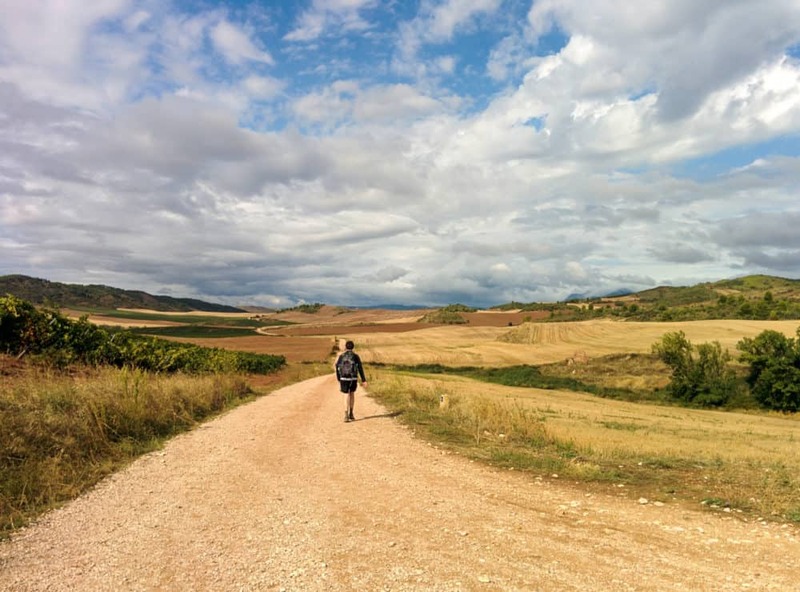 I try not to get too evangelical about it — the world doesn’t need another zealot — but walking the Camino was one of the most meaningful and satisfying things I’ve ever done, and I want to share. 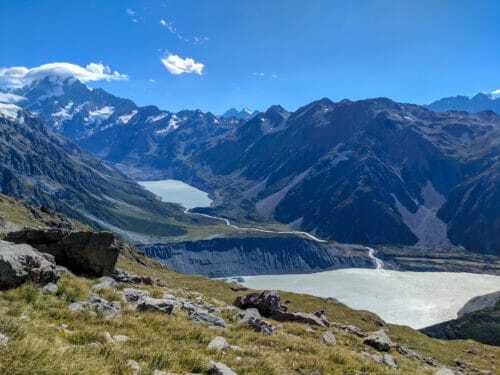 Even writing this post, going back through the photos, thinking about the thousands of little moments that made up the walk, I felt a physical longing to be back doing it again. A few weeks before I started, I met up with some friends who’d just finished their fourth Camino. At the time, I wondered why they did it. What kept driving them to hike for weeks, putting up with injuries and discomfort, towards that big cathedral in northwest Spain? I don’t wonder any more. I get it. The strengthening of the body and resetting of the mind is addictive. I’ve planned my next two Caminos — a shorter one this September, a longer one next spring — and already I can’t wait. I know long-distance walking will be part of my life for many years to come. Walking across a country, or a continent, no longer seems an impossibility. Now, it almost seems an inevitability. A good pair of shoes, a small backpack, and a little money is all it takes. As with many other things in life, starting is the hardest part. After that, it’s just one foot in front of the other, rain or shine, until you get to the end. Here’s to many more starts. 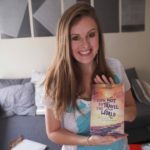 I very much enjoyed reading this post, especially because I begin my solo camino experience in a little less than 2 weeks. Thank you for sharing! When you first wrote about walking to Camino my first thoughts were honestly, “why on eearth would you do that?”. Now I can’t but think “why on earth would you not!”. Great post! Thanks for sharing your experience. Thanks for the great story. I am definitely in the camp where I never considered doing this hike. But now you have me thinking that maybe even I could do it. Cheers! I had many Camino families as well, it was at times amazing and very sad. One girl and I stood in front of the Cathedral in Leon and balled on the day we parted, the Spaniards had quite a show. Beautiful recap and I too want to walk again. Thank you Dave. I am on this journey now, will be in Santiago in 5 days. Everything you mentioned is so true, except for the weather now. Started April 15, 2016 in SJPP, now in Sarria. Hurray! I’m sure you are done by now, and are ecstatic. Congrats! 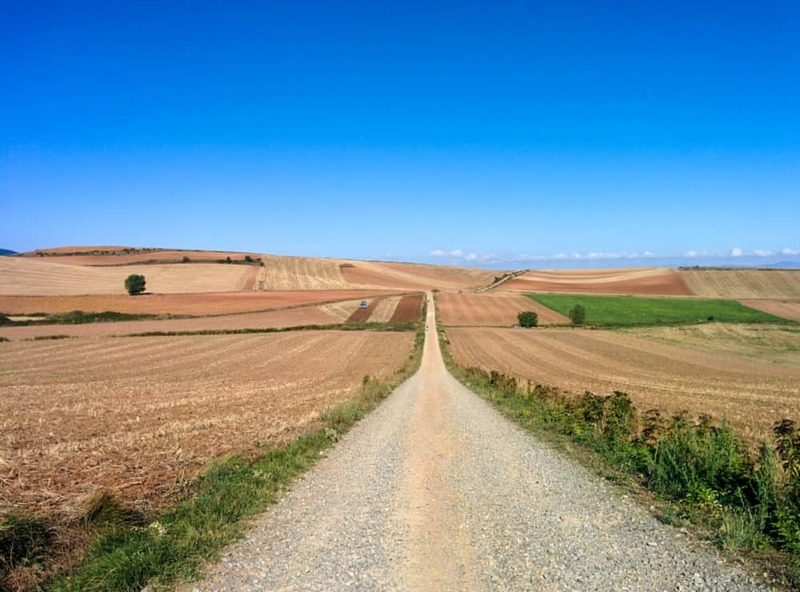 Walking the Camino sits like a pearl at the back of my mind, and has done for fifteen years. For many reasons it hasn’t happened yet, but here I am reading another recounting of the experience and wanting it as much as ever. I have no idea if I can or not but the seed is still there and trying to sprout. I’m 65 now, and my husband is 73. We’ve done quite a lot of hiking but never day after day. If it helps, I met plenty of people in their 60s and 70s who were walking the Camino when I did it. The oldest guy I met was 80, and he was covering the same sort of distances as people a quarter his age! With a reasonable amount of training, and being prepared to limit the distances day by day depending on how you’re faring, it’s definitely possible! I’m planning my Camino for September of this year. I’m already changed just by the thoughts of becoming a pilgrim. Thank you for your post. I look forward to reading more of your work. Maybe we’ll see each other somewhere on the Camino, redux. Dave, I loved this! It is the most realistic, non romantic, just-get-er-done commentary on the Camino I have come across yet and I’ve been researching for a while. I have followed you on Too Many Adapters and when I saw you were walking the Camino you really got my attention. I am planning to do the same in April/May of 2017. But then I didn’t hear another word about it! It appears I was following the wrong blog, lol. What a trip! Well done Dave! What an amazing journey! 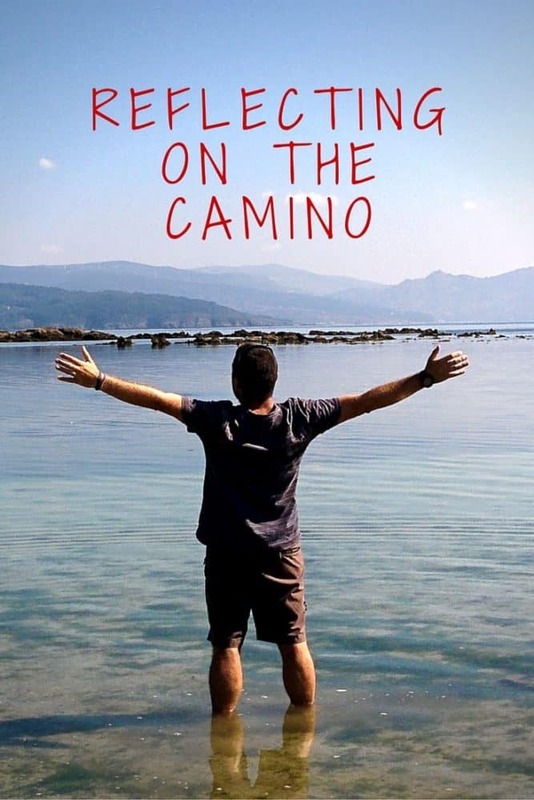 Great to read about this – an honest portrayal of the Camino, which is something I was never too familiar with. Thank you for sharing – it sounds like an incredible experience. Finished the Camino two weeks ago. Still in withdrawal. Your blog is spot on, though I would like to add that the beer and wine are right up there with the café con leche. It’s been almost a year since we sat in that coffee shop in Santiago & compared notes about our first Camino journeys – and I’m now in the same boat as you, trying to decide which route to walk this summer :p I’m excited to hear about your next Camino & so glad it’s still resonating with you a year later! Have you ever thought of writing a book about your Camino walk. I would like to read it if you ever do. Love this! My twin sister and I (along with our husbands) are walking part of the Camino Frances for our 50th birthday in June 2017. I’m looking forward to the challenge and adventure. I can identify with not knowing exactly what I’m hoping for, but I do believe it will be a kind of reset in my life. More simplicity. Get back to the basics. Thanks for writing!! 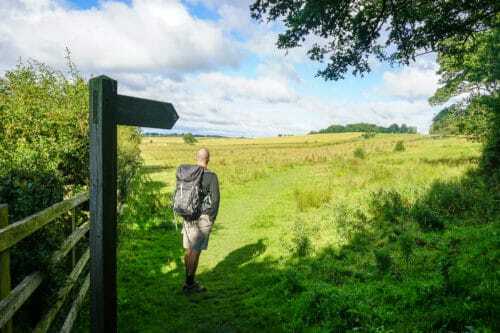 We (my wife and I) are setting off on the Camino de Santiago this September, so your blog post is very much appreciated. I enjoy your encouraging, yet honest, writing style. 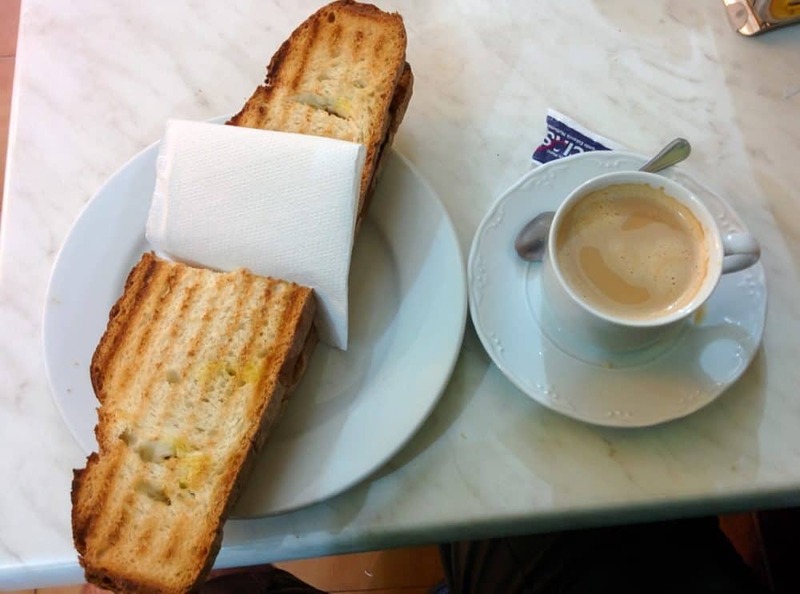 Although for me it was always a cafe solo, I’d usually have to ask for it a few times to convince them I hadn’t meant to order a cafe con leche! 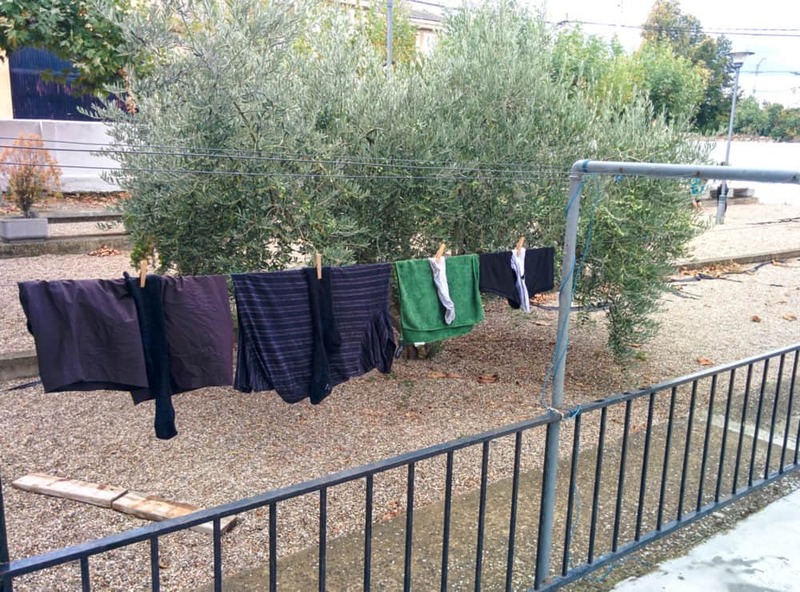 Great blog Dave, just stumbled upon this on the Camino forum looking for a packing list for a friend. Brings back memories!! I remember you were always about the cafe solo, too! 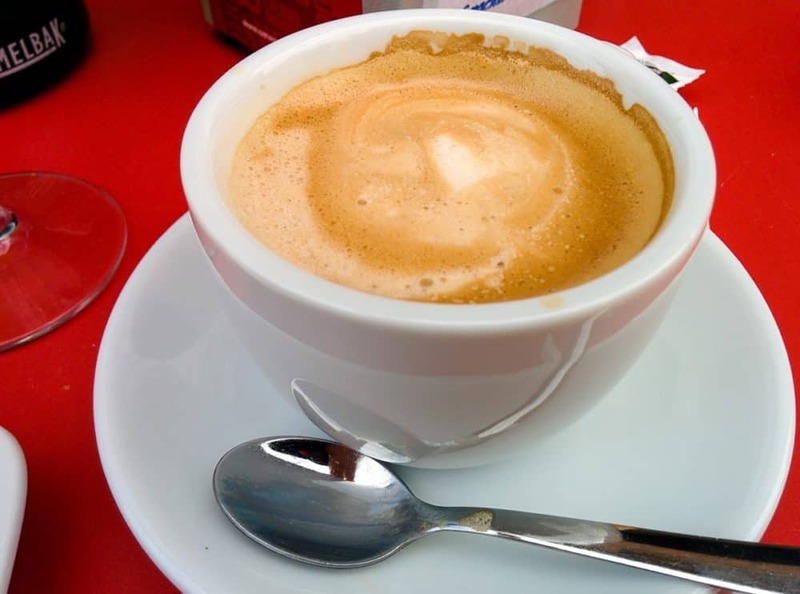 Funny — I’ve stopped eating/drinking dairy these days, so I had a lot of black coffee on the Portuguese Camino the following year! Which Portuguese Camino did you do? From Lisbon or Porto? Will you do the Le Puy En Velay Camino? From Porto to Santiago, then a loop to Murcia, Finisterre, and back to Santiago. I’ve got a half-written post about it that I must finish some day. My next Camino will be del Norte / Primitivo, either this year or next — but I’ve only heard good things about Le Puy, so it’s on the list! Question if I may….i’m planning to do it next spring. Have to confess I snore something rotten….sinus problems. I didn’t realize that the hostels had private rooms. Do you know roughly what they cost? I’m trying to work out my budget. 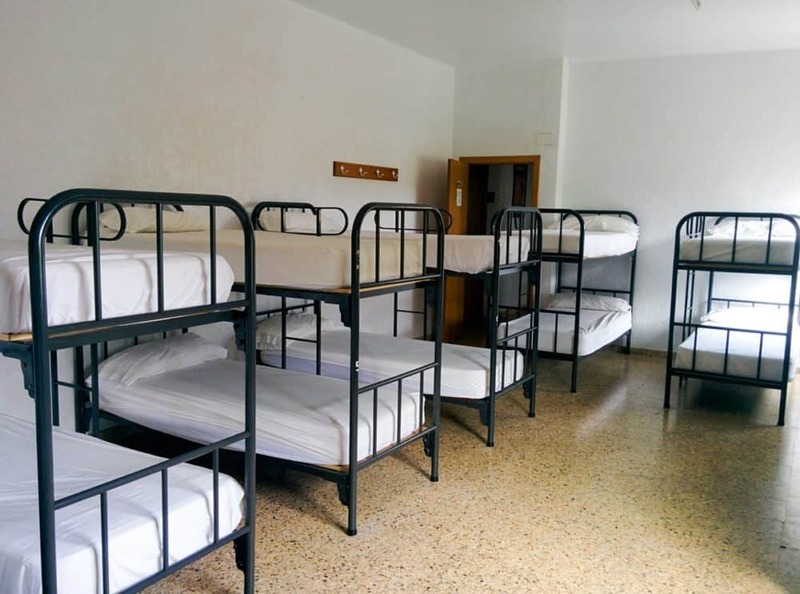 In the albergues, what I’ve tended to see is rooms with 2,3 or 4 beds, and each bed costs a little more than a bunk bed in the main dorms. So, if a dorm bed was 10 euros (for example), you might pay something like 45 euros for a 3 bed private room. You’ll want to book in advance if you’re planning to stay in those rooms (if it’s possible to do so), as they are in relatively short supply depending on the time of year. Not all albergues have rooms like those, but some do. Along the Frances, there are also many other types of accommodation (hotel, guesthouse, b&b) that are private. Some people who snore, but are on a strict budget, choose to carry a tent — you can often ask to pitch them out the back of albergues in smaller towns and villages, or even in a farmer’s field (with permission! ).